The time has come for you to find a manufacturing partner that can produce your hardware product. You want to take advantage of an overseas manufacturing strategy and you heard of this website called Alibaba where factories are lined up ready to take your business. You can pretty much find anything you want made on the site and from the outside it looks like an appealing strategy to source your project. 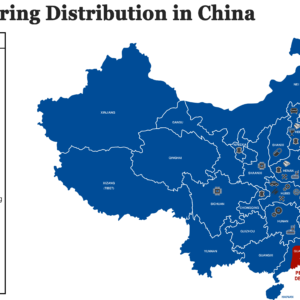 So you consider an internet sourcing strategy using Alibaba as a way to find a supplier to work with you on producing your hardware product. As part of your decision to go this route we wanted to offer some advice as it’s important you conduct due diligence on whether this strategy is right for you or not. You have to be careful in selecting your manufacturing partner as it’s going to directly affect the realities of your business succeeding or failing. Read on to learn the five considerations you need to take into account when sourcing a hardware product online. 1. Is This the Actual Factory? When you select a product and click to ‘contact the supplier’, always make certain that you are in fact speaking directly with the actual factory. Otherwise, there’s a chance you’ll actually be dealing with a middle-man/broker who adds no value, and simply takes their cut for the trouble of creating the listing. There are better deals to be found sourcing online! If you can, then try to visit the factory or send someone you trust to do so in your stead. This way, you can be sure that you’re working with a good factory with high standards and good quality control. Remember: your customers are probably going to associate your brand name with these products! Likewise, you need to be very clear what it is you’re buying and what the quality will be like. The factory will very much have their own idea of what quality is and you need to make sure you are clear on what is acceptable or not. Ask for as many specifications as possible, and ideally get a sample of the product yourself too. You need to verify yourself that the goods are good enough to put your name to. Talk about the payment methods and process. It’s normal to pay a 50% deposit and 50% net 30. Discuss this up front and look at reviews to make sure your money isn’t going to disappear, never to be seen again. One good way to protect yourself is with a letter of credit – though these themselves can be expensive. Remember to discuss shipping costs when discussing pricing. Understand your terms (learn about Inco-terms here) so you know what the policy is if something goes missing. Of course, the details will be different depending on whether you’re using a drop shipper or you’re buying wholesale – either way, it needs to be factored into your profits and overheads. This entry was posted in Blog and tagged business, Early Stage, Hardware, manufacturing, small business, sourcing. Bookmark the permalink. Love the list–importers of any product should be mindful of these tips for sourcing products online. Hardware manufacturers should particularly be concerned about the quality of parts used. The only important detail I would add is that it’s NOT always best for an importer to work directly with a factory for manufacturing. It can actually be advantageous for some importers, especially those with smaller order quantities, to source through a middleman (a.k.a. broker, vendor or trading company). The main advantages to sourcing through a trading company is that trading companies typically have established relationships with factories and benefit from economies of scale by ordering larger quantities of products. This point is less relevant for hardware importers, since they usually have more specific product requirements, but it’s still worth considering. Good read that! 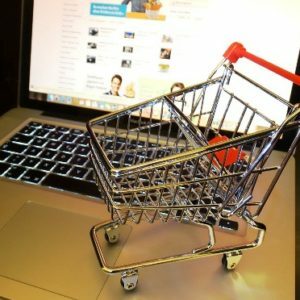 Retailers around the globe know how important eCommerce is for their businesses, but some may think that it could be a fleeting trend. Selecting a partner is not a big deal! But the risk is that you need to hire professionals. If you select a right manufacturing partner, everything will fall in place. As we all know, the internet is a good place to start your search and there are various sources like alibaba.com, madeinchina.com etc will provide you the information on these. The next important thing is that focussing on shipping costs. Many retailers tend to choose various options for retaining their customers. Many retailers offer free shipping by displaying a banner on top of their website and this will typically work for retailers who have smaller or lighter products while there are retailers who offer real time shipping rates during checkout which will help the customers calculate the true shipping rates. But you can stay afloat with rising shipping rates by choosing the right service type and not miss to get refunds delayed packages. Lateshipment.com gives you a clear idea on how to claim refunds in just 2 minutes to supercharge your shipping. Check out if you are interested! !